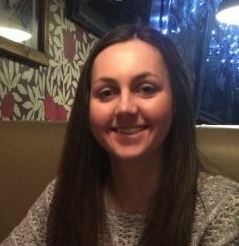 Jennifer Fingland is Policy Officer at Cycling Scotland. Cycling Scotland is the nation’s cycling organisation. Working with others, we help create and deliver opportunities and an environment so anyone anywhere in Scotland can cycle easily and safely. We work to establish cycling as an acceptable, attractive and practical lifestyle option with a vision of a sustainable, inclusive and healthy Scotland where anyone, anywhere can enjoy all the benefits of cycling. As a newcomer to the SCVO Policy Officers Network, I had never considered how the Sustainable Development Goals relate to my work, and their impact on policy and priorities in Scotland more broadly. This blog will look at how this works in practice for some elements of goal three. 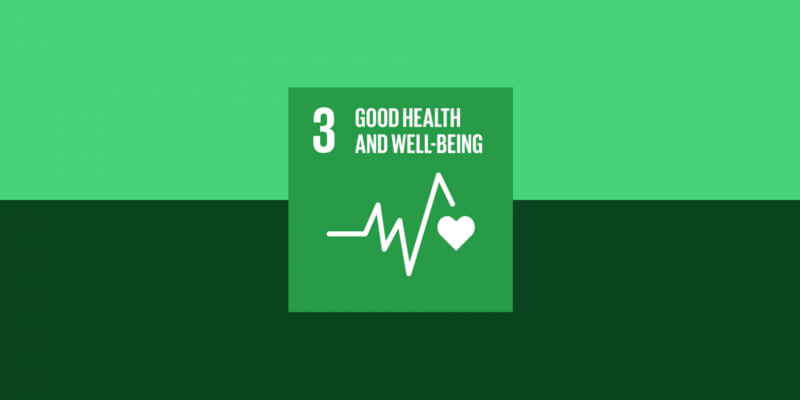 Goal three ensures healthy lives and promotes wellbeing for all at all ages through addressing issues such as non-communicable diseases, road traffic accidents, and air pollution. Consider cycling. You might ask yourself, what does cycling have to do with the SDGs and addressing the issues identified above? Scotland has a positive and proactive policy and political environment which supports cycling and active travel. The Scottish Government’s Cycling Action Plan for Scotland outlines a vision of 10% of everyday journeys to be cycle journeys by 2020, and the Programme for Government announced a doubling of funding for active travel from £40 million to £80 million in each year of the current parliament. Cycling is not just a cheap, easy and convenient way of getting around for short everyday journeys; it also has a wide range of environmental, health, social and economic benefits, that are often not widely recognised or understood. Non-communicable diseases (NCDs) remain a significant global issue and are being exacerbated by growing levels of physical inactivity, which is associated with an increased risk of getting an NCD. It is estimated that the cost of NCDs to Scotland, resulting largely from low levels of physical activity, is £94.1 million, which equates to £18 per person per year. So how do we overcome this challenge? Cycling makes a contribution as an easy and effective way to increase rates of physical activity; it can be easily incorporated into daily activity and is associated with a decreased risk for NCDs. People who cycle for commuting have a much lower risk of cancer (45% lower), heart disease (46% lower), and all-cause mortality (41% lower) compared to all other modes of travel. Road traffic accidents are a noteworthy issue. Cycling on its own is not going to eliminate the risk completely but it does have a role to play. Initiatives such as the introduction of 20mph zones in many Scottish towns and cities, such the city-wide scheme in Edinburgh. Cycling Scotland’s Give Everyone Cycle Space campaign, and Police Scotland’s Operation Close Pass are all aimed at and make a contribution to improving the safety of the road environment, especially for more vulnerable road users, like people cycling. Crucially, they raise awareness of the shared use of road space with more vulnerable road users. This is a contentious issue, but progress has and continues to be made. To be truly effective, such behaviour change initiatives need to be supported by physical infrastructure, like segregated cycle lanes, to encourage more people to cycle for everyday journeys. Goal three identifies air pollution as the “greatest environmental health risk” globally. In Scotland, pollution is estimated to cause 2,500 deaths each year and is second only to smoking in terms of its mortality impacts. The Scottish Government have committed to banning the sale of any new petrol and diesel cars by 2032 and will introduce four Low Emission Zones by 2020. The first of these will be introduced in Glasgow later this year and will be monitored closely to assess its impact. The Scottish Government’s newly published Climate Change Plan outlines a commitment to reducing emissions from transport by 37% by 2032 which they advocate will be achieved largely through de-carbonising vehicles and promoting electric technologies. Whilst an important part of the solution, we recommend greater emphasis on modal shift towards cycling (and active travel) as a more effective way to reduce emissions and improve air quality. Focusing on technology also presents questions around the reliability and pace of change of such technology, and whether the electricity system is equipped to deal with the inevitable upsurge in demand. Crucially, electric vehicles are just that, vehicles, and don’t bring the health and other benefits associated with cycling. Scotland is on the right track to improving air quality and the environment for everyone, but we should not be complacent as we strive to achieve our climate change targets and improve air quality. Overall, Scotland is in a good place when it comes to tackling many of the issues identified in Goal three. The Scottish Government has a positive active travel agenda and has committed record levels of funding. However, more needs to be done to shift public attitudes away from private car use. This can be achieved by making it safer and easier for anyone anywhere to cycle through providing high quality accessible active travel infrastructure, and cycle training. Going forward, continued levels of political support, and an increased recognition of the meaningful contribution cycling makes to the above areas is required to achieve the 10% vision.